There are varying degrees of dog bites, just like there are varying degrees of car accidents. In every case of a dog bite, however, one of the first things to do in Oregon is to report the dog to Animal Care and Control. For this, you’ll need the dog owner’s address. At the same time, make sure you get the name of the owner and the breed of the dog. A dog owner whose dog has bitten you is very liable under many circumstances. Witnesses to the dog attack are helpful, as well as witnesses who have seen the dog in question attack other human beings. A dog who has attacked one person has often attacked–or tried to attack–others with behavior such as barking and chasing. It’s also smart to see your doctor so you can get vaccinated for rabies. For any bite that has broken the skin, the victim is at risk of serious disease. Taking medical precautions is wise. Obviously, if the dog bite was debilitating, medical help was the first thing you sought. As soon as you’re able, be sure to document the bite well with photos. These will help any investigating officer and, if it should come to it, a jury. Once you’ve done these things, then contact the Oregon Dog Bite Accident Attorneys at Peterson Law Offices immediately. Oregon law is specific about dog ownership. The owner’s insurance company may try to settle with you quickly before you learn too much or deny the claim altogether. Do not fall into this trap. An experienced dog bite accident attorney can help you determine if you are eligible to receive any kind of compensation due to a dog bite injury. There are more than 4.5 million dog bites and attacks that occur in the United States alone. Most of these injuries lead to infection or another worsening condition.According to Oregon law, liability is only imposed on an owner if they are aware that their dog may be dangerous. An experienced dog bite accident attorney can further explain the dog bite laws and liabilities. They also give you a better idea of what you can expect from your case. Most personal injury cases are complicated and time-consuming. It is always in your best interest to seek help and find the answers to all the questions you may have concerning your rights. If you do nothing, then you are risking your chance at seeking justice for the dog bite accident. In Oregon, dogs are not permitted to run at large which is why leash laws are typically in effect. It is the owner’s responsibility to take care when handling and controlling the animal. The owner should know his animal enough to realize when they can become agitated or dangerous. Therefore, they should be practicing reasonable care and handling when it comes to their animal. Is a Dog Bite Accident Attorney Required for an Adult? It is not required that you seek an attorney after a dog bite accident. However, it is definitely in your best interests to do so. Many dog bite attacks go unreported, and many fail to seek the compensation they deserve. Because of this, insurance companies only have to pay out a small fraction of people involved in dog bite accidents. An experienced and knowledgeable lawyer is the best way to get justice and receive fair compensation for your claim. Lawyers will typically work on a contingency basis which means that the lawyer will not request any payment until the money has been recovered for the victim of th4e dog bite accident. If you lose the claim and are awarded nothing, then the lawyer forfeits pay and requires nothing from the victim. If you try to represent yourself in your own dog bite accident claim, there is a big chance that you may not say the right things or fully understand the process involved. A lawyer will help keep everything on track and ensure that the victim does not say anything that may cause resentment or unnecessary criticism. Is a Dog Bite Accident Attorney Required for a Child? If it was your child involved in the dog bite accident, rather than an adult, should you still seek an attorney? The answer is yes, absolutely. The same applies in the case of a child as it did with an adult. A lawyer will negotiate between all the parties involved. They will also seek fair and proper compensation for the child’s medical bills and care. In some cases of compensation for a child, the insurance company will place the money in an annuity. An annuity may allow the insurance company to profit off the child’s compensation. A dog bite accident lawyer will be able to catch when this is happening. A lawyer that is knowledgeable and experienced when it comes to cases involving children will use the annuity to obtain the maximum return possible for your child. They will not allow the insurance company to profit from your child’s injuries. Also, in some cases, a parent is also entitled to some form of compensation. A lawyer will not only represent your child but will also represent the child’s parents, so everyone receives the proper and fair settlement that they deserve. 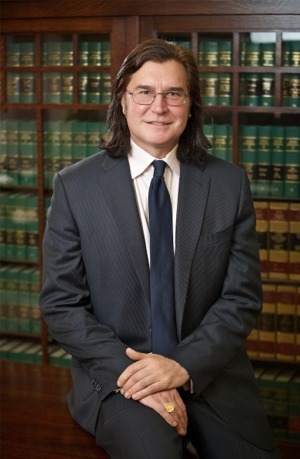 If you feel that you and your child can benefit from the experience of a knowledgeable dog bite accident attorney, please do not hesitate to call. Do everything in your control to begin the process of receiving fair compensation for the pain and suffering you and your family have endured.